This year Saturday’s ‘Cropping the Lavender’ had a special resonance. 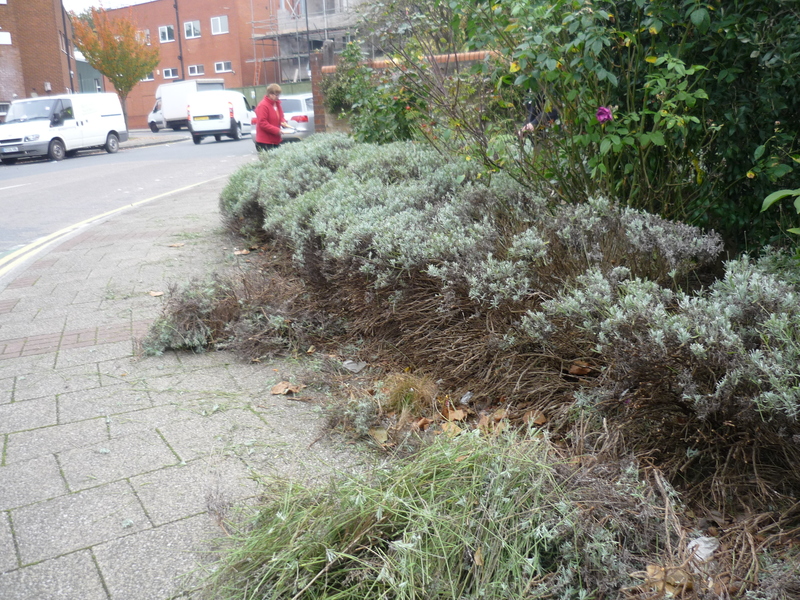 Our wonderful community garden at the junction of Clarendon and Hornsey Park Road needed its final trim of the autumn. 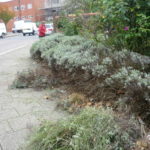 We completed that quickly and went on to cut back the bushes to make it easier to sweep the pavement. We reduced some of the over-exuberant buddleia. 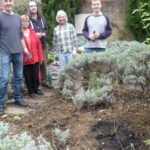 We also put in five new lavender plants, the last remaining from the generous gift made earlier in the year by the Electoral Reform Services round the corner. Part of the pleasure is the conversation with our neighbours - one came by and recalled scrumping apples on his way home from school to feed the horse that used to be stabled on the patch thirty years ago! We had a busy and enjoyable day with the final clippings not disposed of until 4pm. 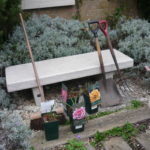 But this year’s big flourish was the planting of four new roses. The existing bushes, along with the two olive trees, have been a particularly successful feature this year and we’d decided to add more. One, an English Princess, we put in to remember Paul Walker, who died earlier this year. 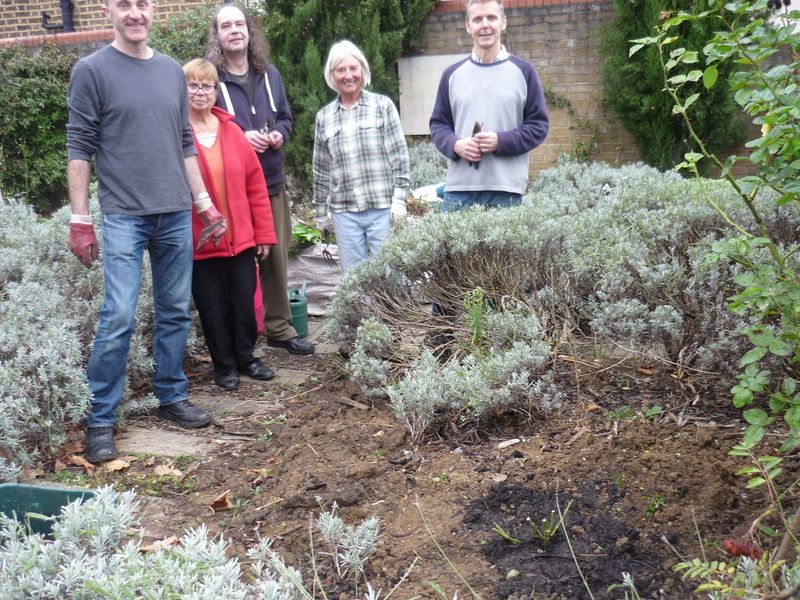 Paul, an energetic force for good in the local community over many years, was the founder of local business Yoga Matters and a strong supporter of the residents association and our gardening projects. We plan to install a plaque in his memory in the future. 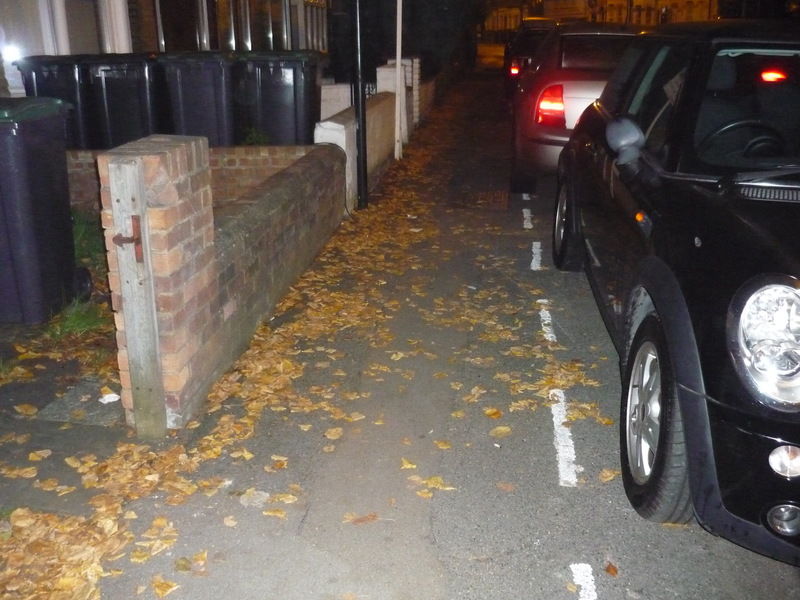 This is also the time of the year when the leaf-fall under the lime-trees in Hornsey Park Road becomes a safety issue for local residents. So far this year it’s been dry and not too bad under-foot. 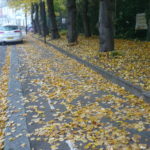 Here was the scene this morning - on Halloween. 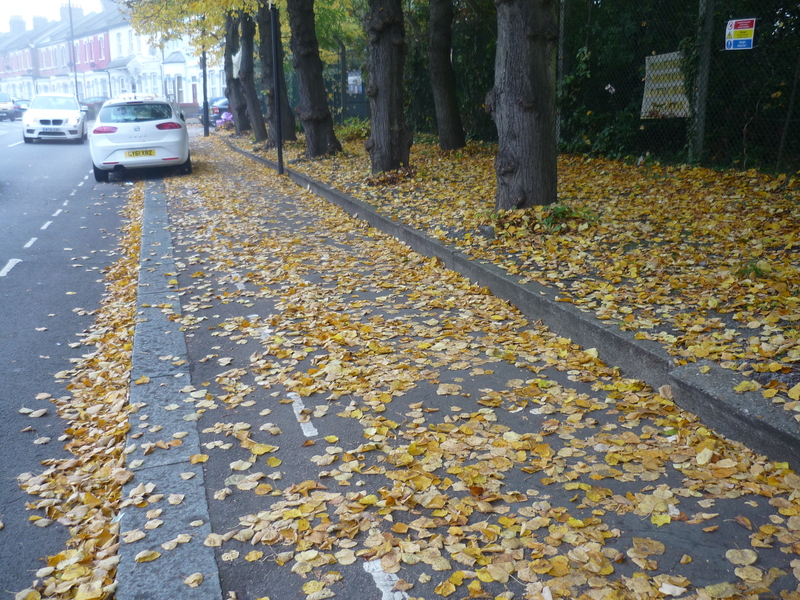 While the leaves make excellent leaf-mould and we’re glad to remove those that fall on the unadopted land beneath the trees we’ve asked Veolia to improve their performance on the pavement and in the highway. 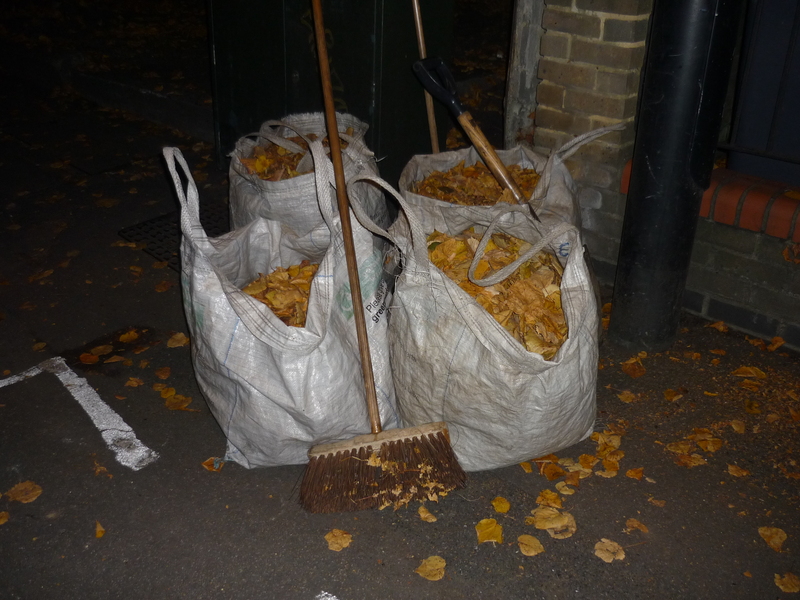 Even with the main fall just ten days old we took away four bags this evening. 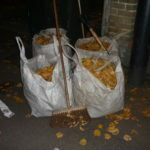 Lime leaves break up quickly and the detritus had starting to get impacted at the tricky northern end of the patch. 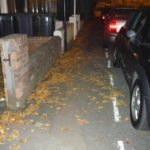 It’ll be good if our street-cleaners can deal with the situation now building up on the eastern pavement - the leaves can spread a good fifty yards to the north on both sides of the road. 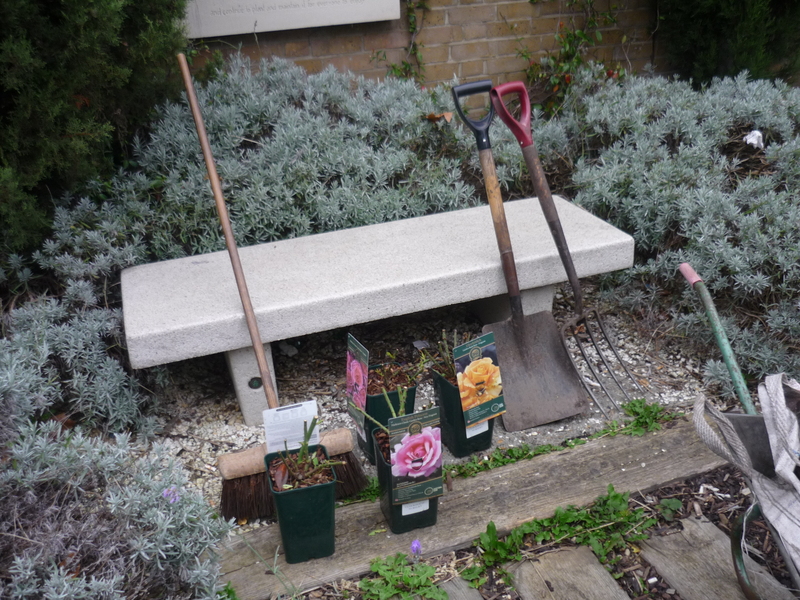 If you want to get involved in the gardening - and we do need to rebuild our team - you can join us on the first Saturday of every month. There’s plenty to get your teeth into. Most months you’ll find someone busy in Martin’s Walk from 10am. And we take tea and biscuits with a neighbour around midday!